Our Southeast Asia trip was coming to an end, after a month exploring Myanmar, Laos and Vietnam. But we still had a couple of days left before we had to be back home in LA, so we decided to book our return flight via Hong Kong! We were able to get a free room at the Sheraton in Kowloon, thanks to the SPG points I accumulate when I travel for work. 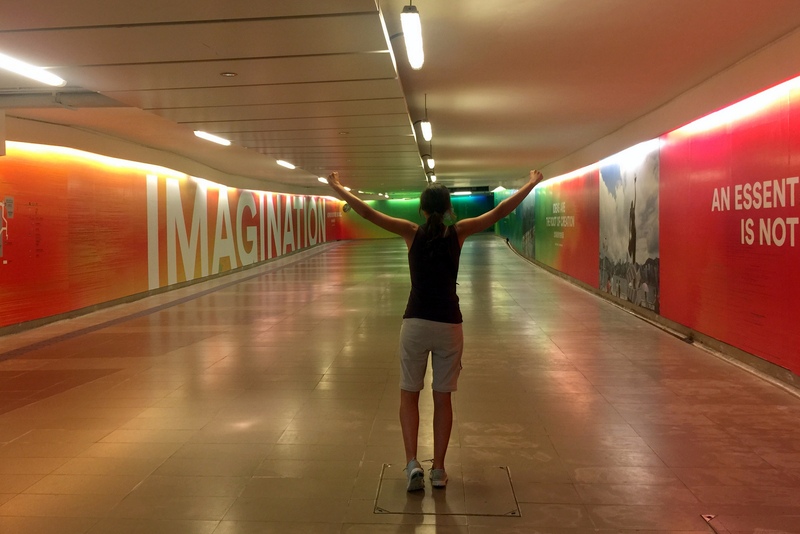 The location was fantastic, and the airport express plus the complementary shuttle put us at the hotel in no time. 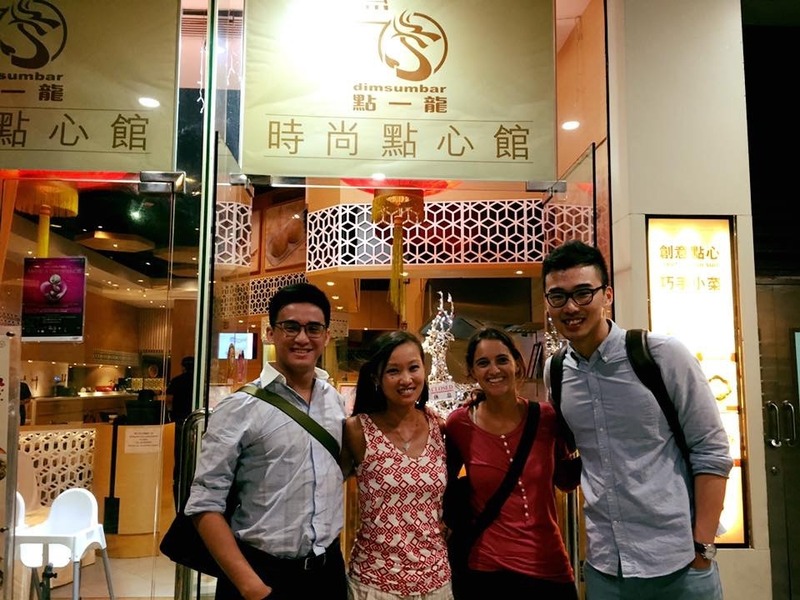 We had a bit under 48 hours to discover the Asian Dragon; without wasting any time, we hit the streets. Heading south, we reached the Star ferry terminal, and after marveling at our first glance of the Hong Kong skyline, we crossed over to HK Island. 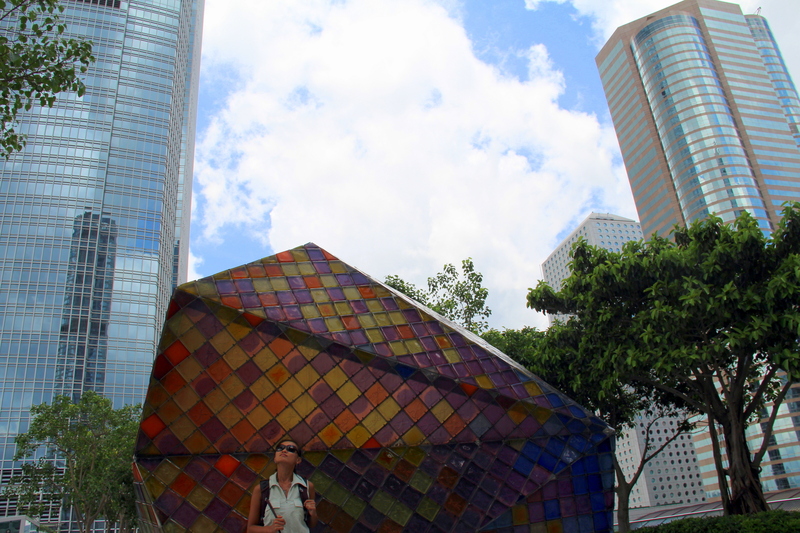 We wandered around the financial district, the massive IFC mall and the main streets like Des Voeux and Queen’s road. 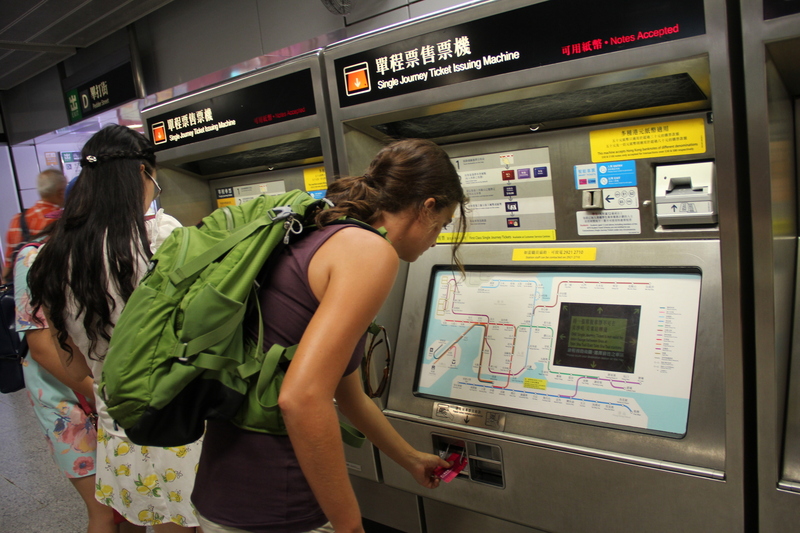 The level of activity was frantic, exactly how I had imagined HK to be, with the added character of the double decker buses and trams, and the quirky escalators (at 800m, the longest outdoor escalator in the world, designed to save the steep terrain of the island without increasing traffic). We took a break in SoHo to grab a bite and catch up with a friend from college who had recently moved here. And then we walked a bit more around the area, where Hollywood road is known for its cafes and antique shops and temples. From here, it would have been easy to reach Victoria Peak with the tram, but the views from up there are only good on clear days… And it wasn’t one of those, so we left it for the following morning. To get back to the mainland, we took the metro, which was one of the best I’ve seen: modern, clean, easy to use and cheap. We got off at Mong Kok as the sun was going down and the neons were lighting up. The streets were packed with shops one after another, advertising themselves in big, colorful signs. Despite the rain, hundreds of people were roaming around and shopping. Even we got excited, and we hate shopping 😉 We also checked out the nearby Lady Market, and a bit further, on Nathan Road, the Temple Night Market. The latter had a series of seafood shacks that looked great, but between the rain and the fact that we had been to similar places every other day for weeks, we didn’t enjoy them much. 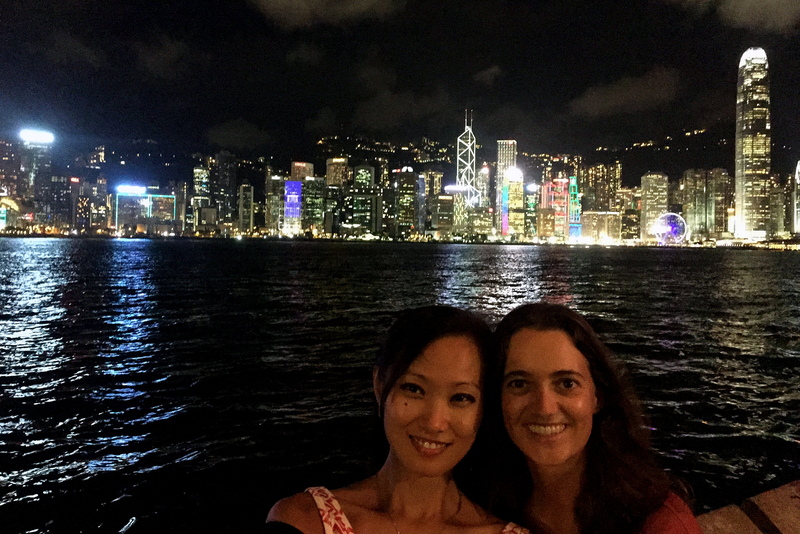 We walked back to our hotel and as we were settling in the room and realizing what fantastic views we had, the buildings on the financial district started “dancing”… it was the famous A Symphony of Lights show! Apparently it only runs once a day, at 8pm, so we would have to make sure we didn’t miss it the following night. On our second day, we were hoping to do what is likely the best day hike in HK: the McLehose trail section 2, including Long Ke beach… but the weather looked as bad as the previous day. Instead, we decided to hike across HK Island, a trail that would take us to some of the highlights we had pending and provide enough shelter spots. 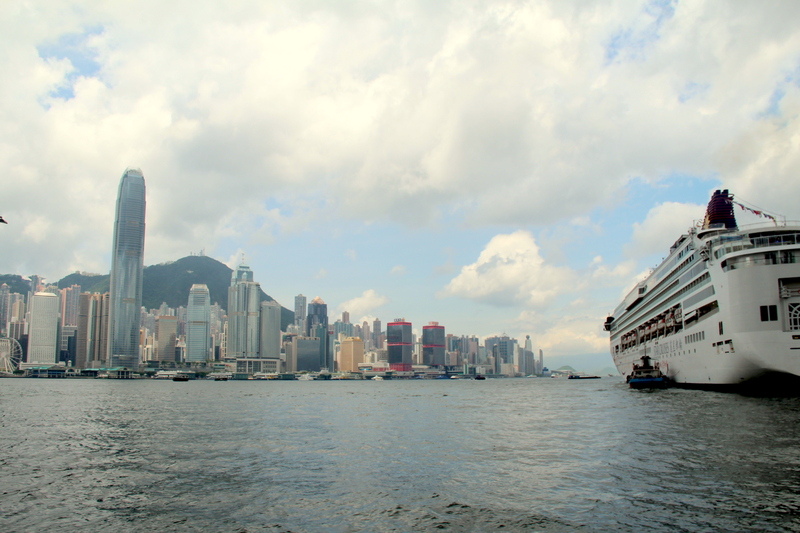 We took the Star ferry once again and crossed all of Central. Because it was the morning rush hour, the escalators were working on downward direction, so we had to walk up the stairs and steep streets. Around Mid, it was interesting to see how most HK professionals live, in dull skyscrapers perched on the hills. 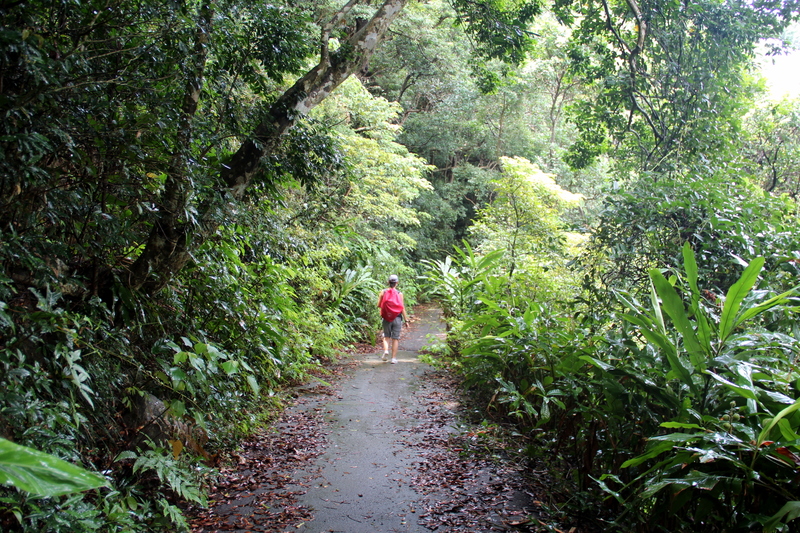 Instead of taking the Victoria Peak tram, we continued on foot via Old Peak road. Eventually, the road entered a forest area, and the views became better as we gained altitude. 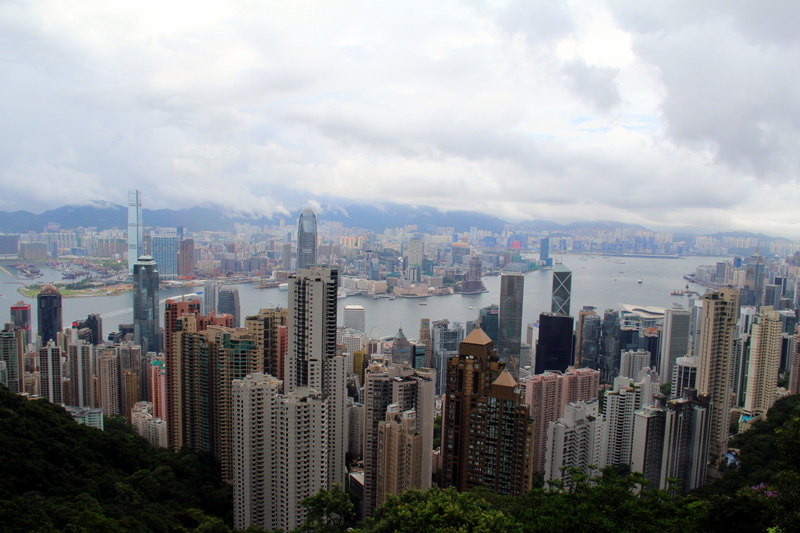 After about an hour, we reached Victoria Peak, right on time to avoid a thunderstorm. The Peak has an official viewing platform (HK$ 48, ~US$6; www.thepeak.com.hk/en/3_1.asp), but you can enjoy the same great views of the bay and the city from the rooftop of the nearby mall The Peak Galleria. As soon as the skies opened a bit, we continued our walk south across the island. It took us about an hour to descend from the Peak to the sea town of Aberdeen, walking through thick forest and a massive Chinese cemetery. What used to be a fishermen village has evolved into a modern city, with tens of tall buildings and many more in development. The waterfront still has some old school charm, with its fishing junks and floating homes. 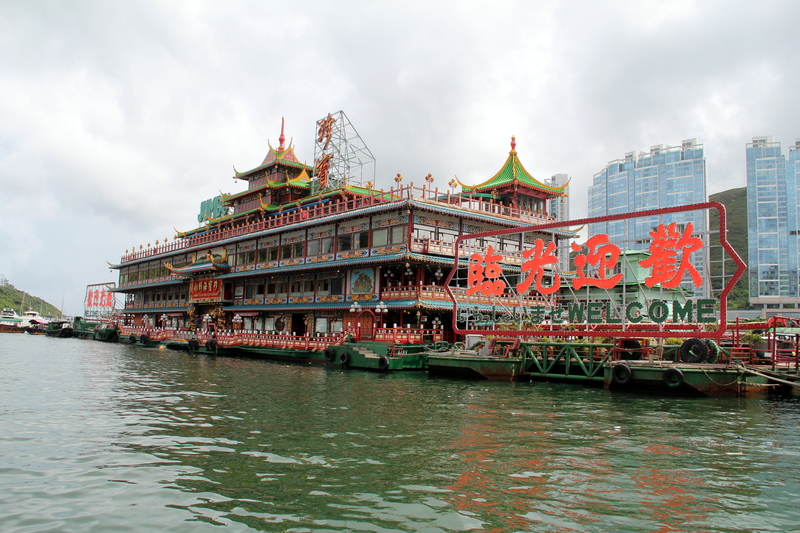 And a great way to explore for free is to take the boat service of the Jumbo Kingdom, the largest floating restaurant in the world. The restaurant in itself was actually quite cool, and I would have eaten there if we hadn’t had to stop at Victoria Peak for that long and had lunch. 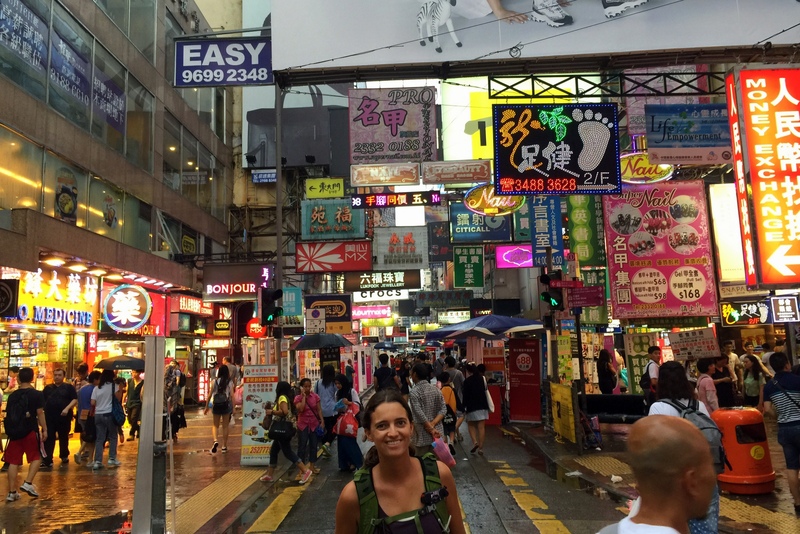 Ideally, we would have completed the day hiking to Stanley, for its market and waterfront, or taking the cable car up to the giant Tian Tan Buddha in Lantau, but the rain had put us behind and worn us off. So we took a bus back to Kowloon and cleaned up in our hotel before going out for the night. 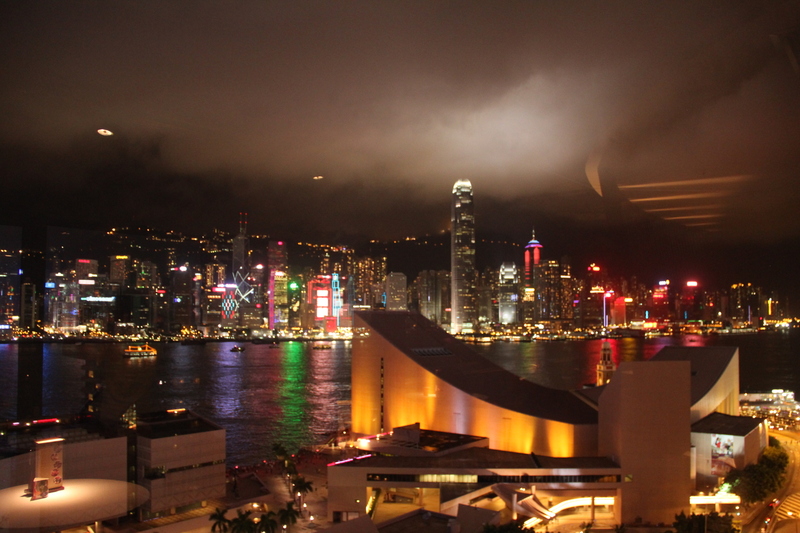 Shortly before 8pm, we walked down to the Tsim Sha Tsui waterfront promenade and the Avenue of Stars. HK’s copy of the Hollywood’s Walk of Fame was crowded with locals, expats and tourists alike. 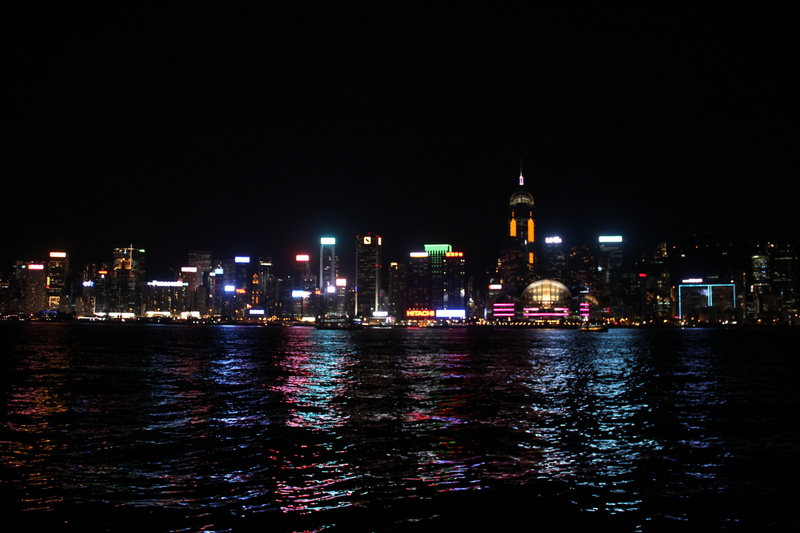 The illuminated skyline across Victoria harbor was absolutely amazing, one of my favorite sights ever. The light and sound show was rather underwhelming though, with just a few buildings “active” with blinking colorful lights, and bland music. I enjoyed more once the show was over and the crowds dissipated, just looking at the magnificent skyscrapers reflecting in the calm water. 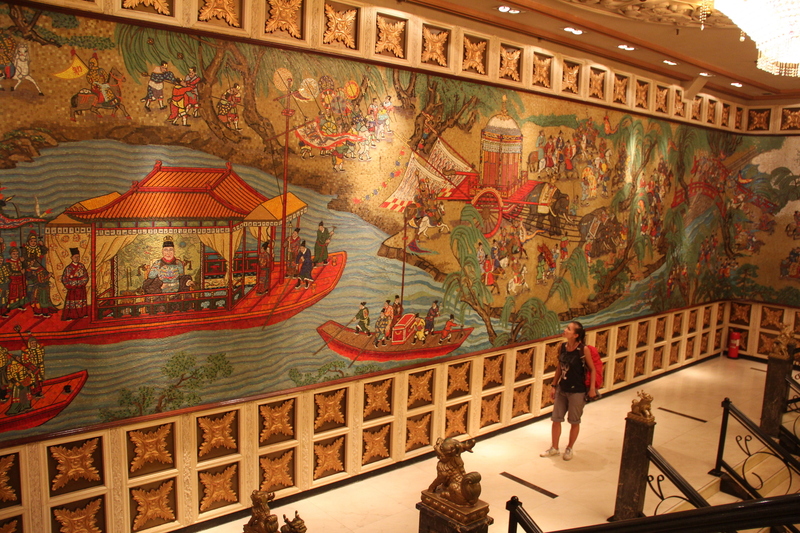 We lost track of time and had to rush to Harbour City, a huge shopping and restaurants complex, where we were meeting some old friends for dinner. 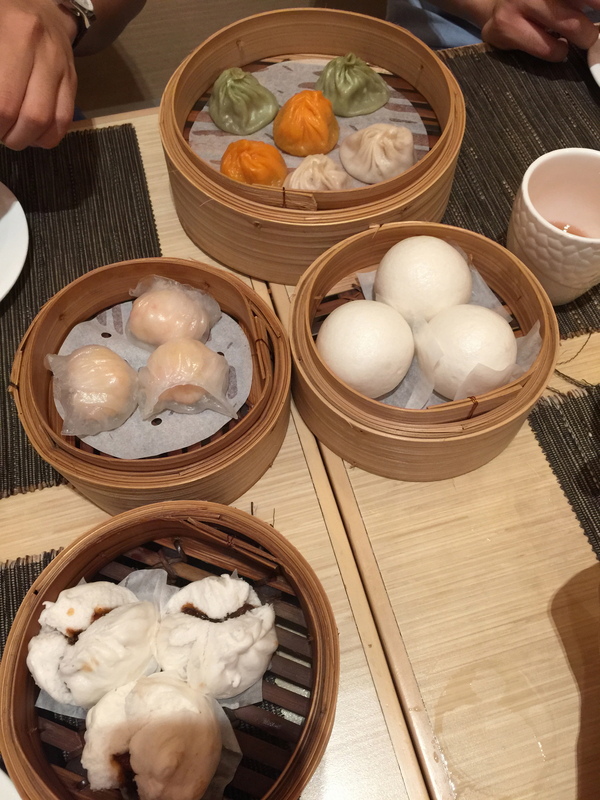 We had delicious dim sum and even better conversation. It was the perfect way to close the Asian leg of our trip. The next day, we would fly home… if only for a few days, because at the end of the month we would embark in a new adventure in French Polynesia. But that’s another story.